One of the first things most people ask for when staying with a friend is the password to the Wi-Fi network. Even if you trust your friends to the end of the earth, a super secure password can be a pain to share with them, especially if it's just a bunch of random characters. If you don't like the idea of writing down your password for guests or typing it in for them, Eve Marie over on Tixeertne has a creative solution for easily sharing it—a custom printed QR code that friends and family can scan on their smartphone or tablet. 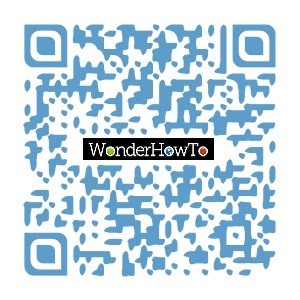 There are tons of QR code generators out there. Eve Marie used QRStuff.com, but I'll be using Unitag for an example because it offers more customization options. Creating the code is simple. All you have to do is choose which type of code you want and input the information. Unitag also lets you customize the color and shape of your code, even down to the shape of the eyes. There's an option called Wireless Network that lets you generate a code that automatically connects the person to your Wi-Fi. It only works with Android, though, so if you have friends with iPhones, you'll have to make a plain text one with just the password. Once you choose your code type, enter the information you want it to contain. For the Wireless Network type, you'll need to type the SSID (network name), password, and tell it whether you have WEP, WPA/WPA2, or an open network. For Plain Text, just type in your WiFi password. Now you can customize the look of your code. You can choose from several different templates, change the colors, and even add an image or logo to the center of the code. Once you're finished, you can share it or download it to your computer so you can print it out. You don't have to be as fancy as Eve and frame it, but displaying it in a common area will make it much easier for guests to connect to your network. 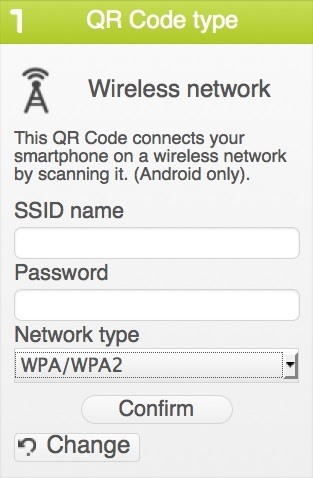 If you made the Wireless Network version that only works with Android, all they have to do is scan it using the "Scan" function in their Wi-Fi settings to connect, or use a free QR reader like Barcode Scanner. For iPhones, they can scan the Plain Text version that only contains the password when they're asked to enter it. To cover all you bases, just make one of each and label them accordingly. 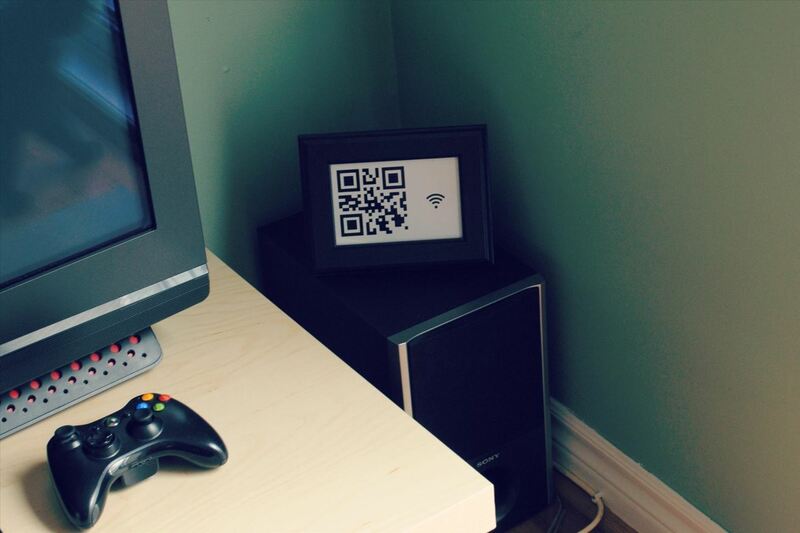 Would you use a QR code to share your Wi-Fi password with guests? Or know of an even better way? Let us know in the comments below. after registering with unitage, the creation of the barcode went fine. however, when i scanned using 3 different phones, all i got was a "requesting connection to network" and then...NOTHING. it didnt work. what could be wrong? Did you try scanning it with an iPhone, Android or both? The Wireless Network code only works with Android, so if you're using an iPhone you'd need to create a plain text one instead. It could also be a problem with your reader. On Unitag's website they suggest using either QuickMark or i-nigma (both have apps for Android & iPhone). Does the reader you're using work when you scan other codes? The other possibility is the code itself. There are a lot of factors that can make it unreadable, like if it's too small or there isn't enough contrast between the code and background. It also needs an area of white space around it in order to be read. The simpler the code the better chance it'll work, so if yours is really busy or you used a logo or image, try making one that's a little more basic. If you're able to get it working, please let us know what fixed the problem for you! what is the solution for iPhone,ipad,Mac ? it would be no use if I just put it as a plain text every one can read, is not it .